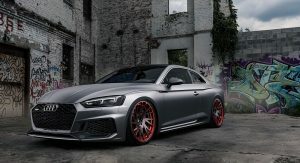 The new Audi RS5 may not be as well-rounded as the Mercedes-AMG C63 S, but it does have stellar looks, particularly compared to the relatively benign C63 and M3. 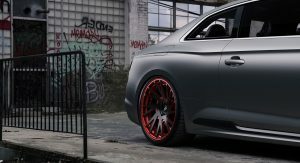 So, when an RS5 owner in the U.S. decided to equip the car with a set of Forgiato Wheels, the results were always going to be eye-catching. 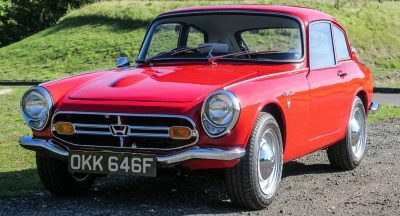 The aftermarket wheel manufacturer fitted the sports coupe with a set of lightweight Tec 2.5 wheels, complete with matte black spokes and candy apple red inners. 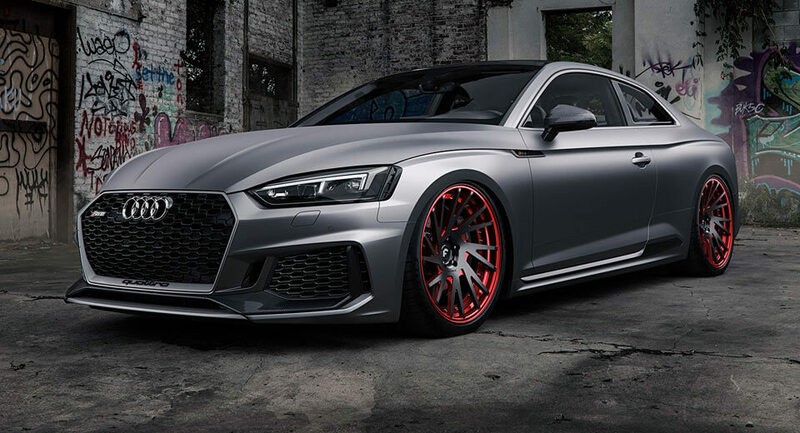 Working in conjunction with the matte grey paint of the car, the wheels help to create one of the most eye-catching RS5s you’re every likely to come across. 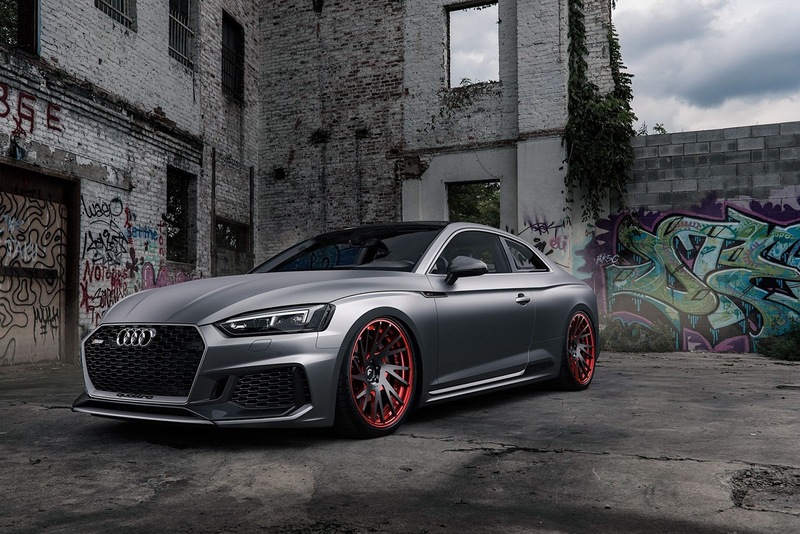 As a reminder, the new 2017 Audi RS5 is powered by a twin-turbo 2.9-liter V6 delivering 444 hp and 442 lb-ft of torque, resulting in a 0-62 mph (100 km/h) time of 3.9 seconds and a top speed of 155 mph (250 km/h) as standard or 174 mph (280 km/h) with the optional RS dynamic package. 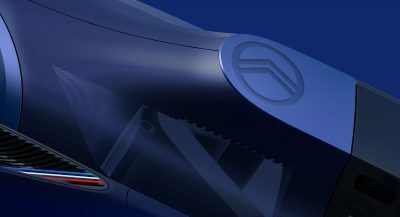 I USUALLY DON’T LIKE MATTE PAINT, BLACK/GRAY CARS OR AFTERMARKET WHEELS BUT THIS LOOKS GOOD. I wonder what colour it will be when they put on the top coat…. So cool and excellent Job. 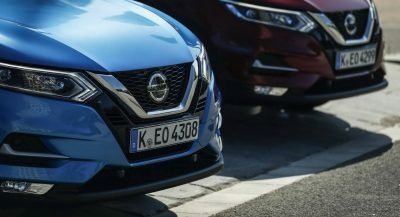 Making a dull car ugly. Previous PostPrevious Would You Pay Nine Grand For A 1990 Toyota Century?